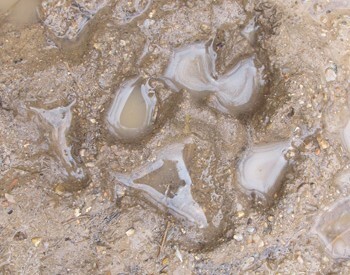 The history of the Mexican gray wolf contains many stories. Some are beautiful; some quite sad. When they were finally protected by the Endangered Species Act in 1976, no Mexican wolves remained in the United States. Five wolves were trapped in the mountains of Mexico between 1977 and 1980. These were all that survived of a wild population of Mexican wolves once native to our Southwestern United States and Mexico. Those wolves, plus one uncaptured wild wolf, were referred to as the McBride lineage, after the trapper who captured them. Two of these unrelated McBride wolves were used to begin a captive breeding program managed by the U.S. Fish and Wildlife Service. The Aragon and Ghost Ranch lineages were added later, when four additional wolves, found in captivity, proved to be pure-blooded Mexican wolves. 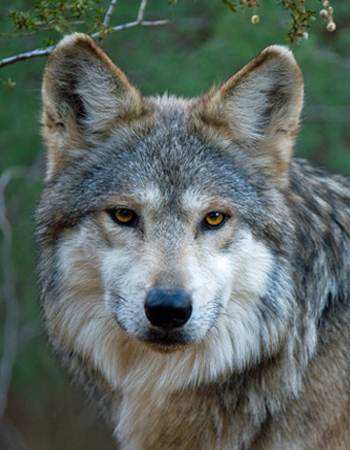 The goal of the program was to reintroduce this rare wolf to its former range. Remarkably, all Mexican wolves alive today are descendants of only 7 wolves, referred to as the "founders." 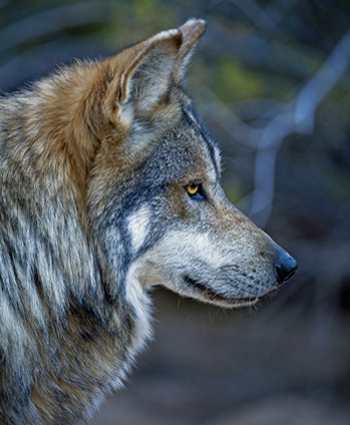 Reintroduction to the wild began in 1998, in the designated “Blue Range Wolf Recovery Area,” which covers parts of Eastern Arizona and Western New Mexico. It is estimated that as of December 2016, there were, at a minimum, 113 Mexican wolves in the wild population. Add the captive population to that number and there are fewer than 350 Mexican gray wolves alive, making them the most endangered gray wolf in the world. Southwest Wildlife is a long-standing member of the Species Survival Plan (SSP) for this sub-species of the gray wolf. We have contributed to the preservation of this rare wolf by offering space at our sanctuary to care for part of the captive population. As a holding facility, Southwest Wildlife covers the entire expense of feeding and caring for these animals, with no contribution from either Federal or State agencies. We encourage you to learn all you can about these remarkable animals and to help give them a future in the wild, where they belong.